This article explains how to create a load balancer for a SQL Server Always On availability group in Azure virtual machines that are running with Azure Resource Manager. An availability group requires a load balancer when the SQL Server instances are on Azure virtual machines. The load balancer stores the IP address for the availability group listener. If an availability group spans multiple regions, each region needs a load balancer. To complete this task, you need to have a SQL Server availability group deployed on Azure virtual machines that are running with Resource Manager. Both SQL Server virtual machines must belong to the same availability set. You can use the Microsoft template to automatically create the availability group in Resource Manager. This template automatically creates an internal load balancer for you. If you prefer, you can manually configure an availability group. This article requires that your availability groups are already configured. By walking through this article, you create and configure a load balancer in the Azure portal. After the process is complete, you configure the cluster to use the IP address from the load balancer for the availability group listener. In the Azure portal, create the load balancer and configure the IP address. Set the load balancing rules. If the SQL Server instances are in multiple resource groups and regions, perform each step twice, once in each resource group. First, create the load balancer. In the Azure portal, open the resource group that contains the SQL Server virtual machines. In the resource group, click Add. Search for load balancer and then, in the search results, select Load Balancer, which is published by Microsoft. On the Load Balancer blade, click Create. Name A text name representing the load balancer. For example, sqlLB. Type Internal: Most implementations use an internal load balancer, which allows applications within the same virtual network to connect to the availability group. External: Allows applications to connect to the availability group through a public Internet connection. Virtual network Select the virtual network that the SQL Server instances are in. Subnet Select the subnet that the SQL Server instances are in. 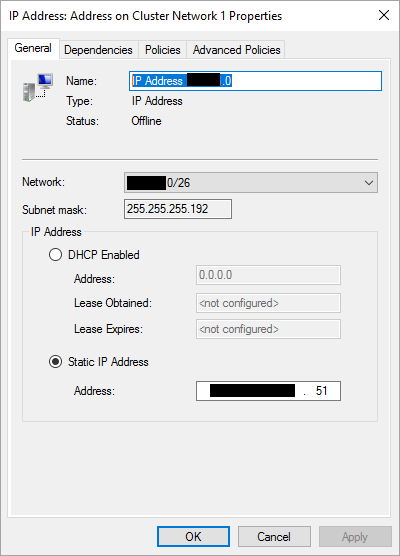 Private IP address Specify an available IP address from the subnet. Use this IP address when you create a listener on the cluster. In a PowerShell script, later in this article, use this address for the $ILBIP variable. Subscription If you have multiple subscriptions, this field might appear. Select the subscription that you want to associate with this resource. It is normally the same subscription as all the resources for the availability group. Resource group Select the resource group that the SQL Server instances are in. Location Select the Azure location that the SQL Server instances are in. Azure creates the load balancer. The load balancer belongs to a specific network, subnet, resource group, and location. After Azure completes the task, verify the load balancer settings in Azure. Azure calls the back-end address pool backend pool. In this case, the back-end pool is the addresses of the two SQL Server instances in your availability group. 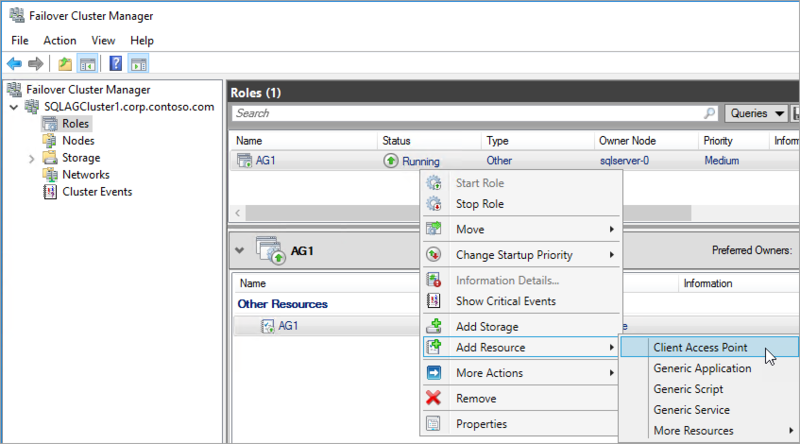 In your resource group, click the load balancer that you created. On Settings, click Backend pools. On Backend pools, click Add to create a back-end address pool. On Add backend pool, under Name, type a name for the back-end pool. Under Virtual machines, click Add a virtual machine. Under Choose virtual machines, click Choose an availability set, and then specify the availability set that the SQL Server virtual machines belong to. After you have chosen the availability set, click Choose the virtual machines, select the two virtual machines that host the SQL Server instances in the availability group, and then click Select. Click OK to close the blades for Choose virtual machines, and Add backend pool. Azure updates the settings for the back-end address pool. Now your availability set has a pool of two SQL Server instances. The probe defines how Azure verifies which of the SQL Server instances currently owns the availability group listener. Azure probes the service based on the IP address on a port that you define when you create the probe. On the load balancer Settings blade, click Health probes. On the Health probes blade, click Add. Name A text name representing the probe. For example, SQLAlwaysOnEndPointProbe. Port You can use any available port. For example, 59999. Make sure that the port you specify is open on the firewall of both SQL Server instances. Both instances require an inbound rule for the TCP port that you use. For more information, see Add or Edit Firewall Rule. Azure creates the probe and then uses it to test which SQL Server instance has the listener for the availability group. The load balancing rules configure how the load balancer routes traffic to the SQL Server instances. For this load balancer, you enable direct server return because only one of the two SQL Server instances owns the availability group listener resource at a time. On the load balancer Settings blade, click Load balancing rules. On the Load balancing rules blade, click Add. Name A text name representing the load balancing rules. For example, SQLAlwaysOnEndPointListener. Backend Port 1433. This value is ignored because this rule uses Floating IP (direct server return). Probe Use the name of the probe that you created for this load balancer. You might have to scroll down the blade to view all the settings. Azure configures the load balancing rule. Now the load balancer is configured to route traffic to the SQL Server instance that hosts the listener for the availability group. At this point, the resource group has a load balancer that connects to both SQL Server machines. The load balancer also contains an IP address for the SQL Server Always On availability group listener, so that either machine can respond to requests for the availability groups. If your SQL Server instances are in two separate regions, repeat the steps in the other region. Each region requires a load balancer. 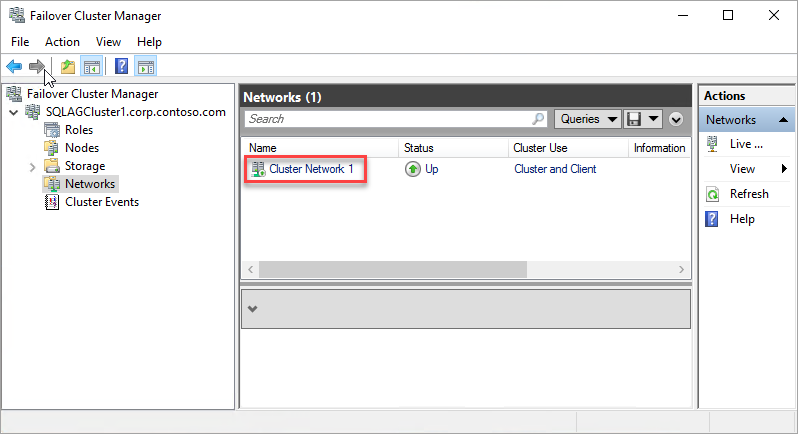 Create the availability group listener on the failover cluster. In this step, you manually create the availability group listener in Failover Cluster Manager and SQL Server Management Studio.